Great Place to Work® is pleased to announce the 2019 list of Canada’s Best Workplaces™ for Inclusion. 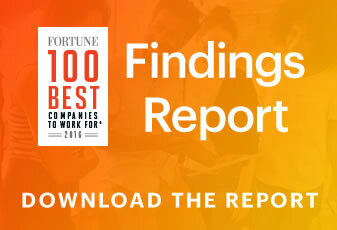 To be eligible for this list, organizations must be Great Place to Work Certified™ in the past year and at least 90% of employees must agree they are treated fairly, regardless of personal characteristics (such as gender, ethnicity, age, sexual orientation). We determined the best based on employee responses to our Inclusion Index. All people everywhere deserve to work in an organization where they trust their leaders, take pride in what they do, and enjoy their colleagues. More and more organizations realize that high-trust workplaces where every employee’s potential is realized are good for business and good for society. When there’s an authentic commitment to inclusion, fairness and trust-building throughout the organization, people can experience a positive workplace culture widely and consistently not just in pockets, which is what we see in many other workplaces. Inclusive organizations are therefore better able to cultivate the human potential of all their people and outperform their competitors. A truly inclusive workplace is what we call a Great Place to Work® For All. This year’s Best Workplaces™ for Inclusion have gone the extra mile to ensure all employees feel supported, valued and included. An environment where everyone’s contributions count means each employee is valued for their contributions and each position contributes to the success of the organization, which leads to greater engagement collectively as a team, than individually. At Gardiner Roberts LLP, the second week of April each year is designated Professional Administrative Week. This is a full week of celebratory events to recognize their administrative staff with gifts, a catered lunch and a special thank you from the Managing Partner for their dedication and hard work over the past year. The week concludes with their long-standing traditional Blue Bag Program, which recognizes employees who are celebrating anniversaries with the company in five-year increments. All recipients receive either a personal gift from Tiffany & Co. in a signature Tiffany blue bag or a Harry Rosen gift in a signature Rosen bag. Having equal opportunity for advancement means that only performance merits career advancement, the promotions process is open and transparent, and management takes steps to actively combat preferential treatment and challenge assumptions. At Salesforce, they go to great lengths to ensure that their promotions process is transparent and fair. On a regular global cadence, leadership teams of every organization discuss all candidates for promotion and thoroughly vet them to ensure all promotions are well supported by performance and potential, and that candidates are all held to the same standards. For VP level and above, they preform an additional “sanity check” — they proactively ask “Are these really the best of the best?” This ensures that women or underrepresented minorities are not excluded or not fairly recognized for their work through unconscious bias, and that only those who truly deserve to advance receive promotions. Furthermore, they proactively reach out to employees who have been on a team for more than 18 months with strong performance but no promotion or rotation in that time frame to see if they would be interested in hearing about open opportunities that fit their background. At G Adventures, their Guidance Mentorship Program fosters intentional mentoring relationships to develop talent, provide growth opportunities, and broaden business understanding and networks. But they recognize that there are groups of individuals that inherently don’t receive the same opportunities when it comes to mentorship and growth. To ensure this program fosters a workspace that grows all their people, they’re making an effort to call out their “like me biases” by matching individuals based solely on development goals and coaching strengths. In a time where hiring for culture fit is the norm, HR leaders need to consider what this means for diversity and inclusion. Hiring for fit means you recruit candidates that share the company values and have the aptitude to do well in your business setting. But it is important to ensure that hiring for fit does not mean hiring people just like ourselves. Giving employees the freedom to bring their full selves to work means that expression of individual personalities is encouraged, and there is no need to minimize a person’s differences or unique qualities to fit in. This attitude comes from the sincere belief that diverse backgrounds foster diverse ideas! At Traction on Demand, their emphasis on finding cultural contributors has led to success in the recruitment of non-traditional candidates from backgrounds unrelated to tech. They look for personality traits that will allow candidates to thrive in their environment regardless of their previous technical experience. Examples of non-traditional candidates who have flourished at Traction on Demand are manifold: their lead product developer previously worked as a tofu production line worker in Cuba; their lead Pre-Sales Engineer worked as an HVAC mechanic for the Vancouver School Board; one of their Solutions Consultants worked as a plumber. Providing training to individuals with personality and potential has empowered these Tractionites to become some of their most talented professionals. New research from Great Place to Work® shows that high-trust workplace cultures are seeing faster rates of success by inviting every employee into the innovation process. Innovation by All maximizes a company's human potential by tapping into the intelligence, skills, and passion of everyone, no matter who they are or what they do for the organization. Companies that build an Innovation By All culture generate more high-quality ideas, realize greater speed in implementation, and achieve greater agility resulting in 5.5 times the revenue growth of peers with a less inclusive approach to innovation. Sign up here to receive this research first!